After decades of groundbreaking laboratory work, the world’s scientific and technical community came together on November 16, 2018, to redefine four of the seven base units for the International System of Units (SI). On November 16, 2018, in Versailles, France, a group of 60 countries made history. With a unanimous vote, they dramatically transformed the international system that underpins global science and trade. This single action finally realized scientists’ 150-year dream of a measurement system based entirely on unchanging fundamental properties of nature. On that day, the International System of Units, informally known as the metric system—the way in which the world measures everything from coffee to the cosmos—changed in a way that is more profound than anything since its establishment following the French Revolution. It was a turning point for humanity. Too often, we’re blissfully unaware of the enormous number of precision measurements that make modern life possible. For example, every component of a smartphone — its processing chip, memory, microphone, and camera optics — depends on an infrastructure of meticulously measured and tested scientific principles, materials, tools and processes that combine to ensure that phone can reliably make calls, send texts, access the internet and use GPS to help us navigate. Measurements make the world go round. 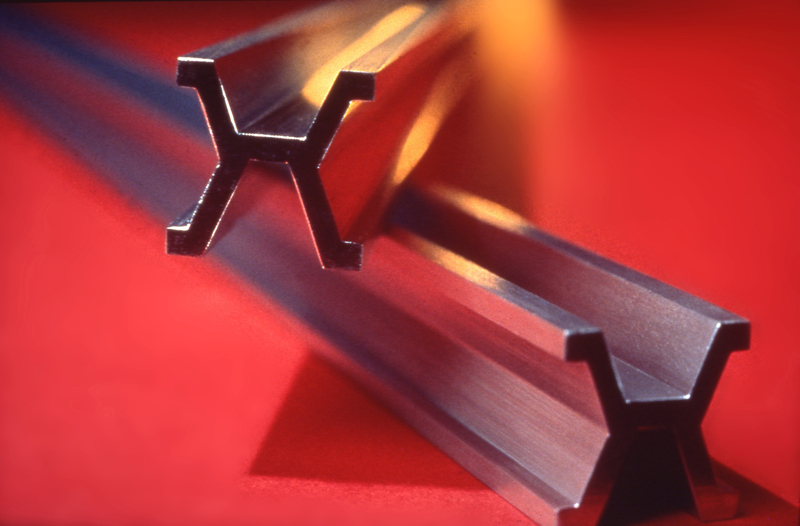 Until 1960, the SI standard of length was disseminated using platinum-iridium meter bars such as these from the NIST Museum. In November, the world’s measurement experts voted to revise the SI, approving a system that does not depend on physical objects. Instead, it’s based entirely on the speed of light and other “constants” of physical science, resulting in a measurement system that might truly and finally be for all times and for all people. These constants are central to a set of well-established scientific principles. They are the backbone of our ever-expanding knowledge of natural laws, such as Einstein’s well-known E = mc2 , which describes how mass and energy behave throughout the universe. These scientific principles are the same ones we’ve already used to create a modern world where we watch flat panel TVs, navigate deep space and explore quantum computing. And this revised measurement system promises to help lead to technological innovations we cannot yet imagine. The vote represented a culmination of a process that began in 1875. That year, dignitaries from 17 nations signed the international Treaty of the Meter, making the metric system global in scope. The treaty succeeded in creating the first common measurement system for international trade and the global exchange of ideas. The artifact standards on which the system was based were housed on specially designated international ground, just outside Paris in the newly created International Bureau of Weights and Measures (BIPM) in Sèvres, France. The Treaty of the Meter introduced a system that evolved over time, becoming the SI in 1960. Shortly after that, the international community took the first step toward a system truly based on fundamental properties of nature. They agreed that an unchanging frequency of microwave radiation released and absorbed by a cesium atom would be the basis of all measures of time. An atomic clock would replace the wavering motion of our planet to define the second. This wallet card displays the fundamental constants and other physical values that will define a revised international system of units. The next revision to the SI occurred in 1983, when the world agreed that the speed of light in empty space, or vacuum — also apparently constant and unchanging — would serve as the basis for all measures of length. That year, the international General Conference on Weights and Measures (CGPM) defined the meter by setting an exact fixed value of the speed of light in a vacuum (299,792,458 meters per second), citing “the excellent agreement among the results of wavelength measurements on the radiations of lasers….” So the meter became defined by the distance light travels in a certain tiny period of time. A ruler made of light would retire the meter bar. But what of mass? Today there is still only one true kilogram upon which all measures of mass on Earth depend. This cylinder of platinum-iridium — about the size of a votive candle — is still kept in a vault at the BIPM. The International Prototype Kilogram (IPK) is so precious that it is only used to calibrate the rest of the planet’s mass standards about once every 40 years. But even with this careful treatment, the mass of Le Grand K — its informal name — seems to be changing over time. NIST's platinum-iridium kilogram K92 (front) with stainless-steel kilogram masses in the background. The SI has seven “base” units — such as the second, meter and kilogram — from which all other measurement units, such as the watt and volt, can be derived. The base units define measurements of time, distance, mass, electric current, temperature, the amount of a substance and luminous intensity. As we have seen, some of these — such as the second and the meter — are now based on fundamental constants of nature. But others — such as the units for mass and temperature — are still tied directly in some way to physical objects or some artificial setup on Earth, such as a sealed glass cell of water. For many years, scientists have been carefully measuring the constants of nature in terms of the old SI definitions. But this has led to strange situations. For example, the Planck constant, a quantity that relates a light particle’s energy to its frequency, has been measured in the laboratory using a kilogram mass, calibrated against the IPK located near Paris. The IPK is a physical object, prone to wear, and susceptible to gaining or losing mass at any time. Yet in the current SI, any measurement of the IPK must always be exactly one kilogram; there is zero scientific uncertainty in the measurement, because the IPK defines one kilogram. On the other hand, a fundamental “constant” of nature, such as the Planck constant — which, according to our best knowledge of the laws governing the universe is unvarying over all time and space — always has some uncertainty in its value due to the usual errors that accumulate in an experimental measurement. Now, scientists are ready to turn things on their head after decades devoted to make increasingly precise and accurate measurements of the fundamental constants using the SI base units. They plan to use exact, fixed values for the constants — such as Planck and Boltzmann — to define all seven SI base units. In this “NIST in 90” video, physicist Darine Haddad uses a cup of coffee and sugar cubes to explain the significance of Planck’s constant. This “turning point” is the culmination of ideas of the 18th-century Enlightenment idea that the natural laws that govern the universe — whether we know them completely or not — are constant and can provide a far more reliable basis of measurement than physical objects we can see and touch. Delegates representing 60 countries at the 26th General Conference of Weights and Measures voted on an historic change to the International System of Units (SI). The world has reached a point at which the seven redefined SI base units can now be transformed from definition to practical reality without the need for any type of artifact such as Le Grand K.
The revised SI redefines the kilogram using a fixed value for the Planck constant and using the definition of the meter and second, which are already based on constants. This single change to the definition of the kilogram democratizes precision measurement by making it possible to do more accurate and precise measurement science anywhere in the world (and even the universe), without needing calibration to a specific artifact. With this system, should E.T. or Alf come knocking, we would be able to communicate the base units to residents of other planets in other galaxies, who could use them with the same accuracy as we do. The immediate effect of this change will not be noticed by consumers in the marketplace. A kilogram of sliced turkey at the deli counter will still be the same amount of turkey as far as your grocery scale is concerned. The biggest expected change will likely be for manufacturers of scientific instruments, some of whom may need to adapt their products in coming years to accommodate the revised SI method for better determining measures of electric quantities such as the ampere, the volt and the ohm. Another key benefit of the redefined SI is improved scalability for measurements. When you use physical objects to measure things, accuracy decreases at sizes much smaller or larger than your standard. A pharmaceutical company, for example, may need to measure chemicals for research on new drugs in quantities that are a million times smaller than a standard kilogram. 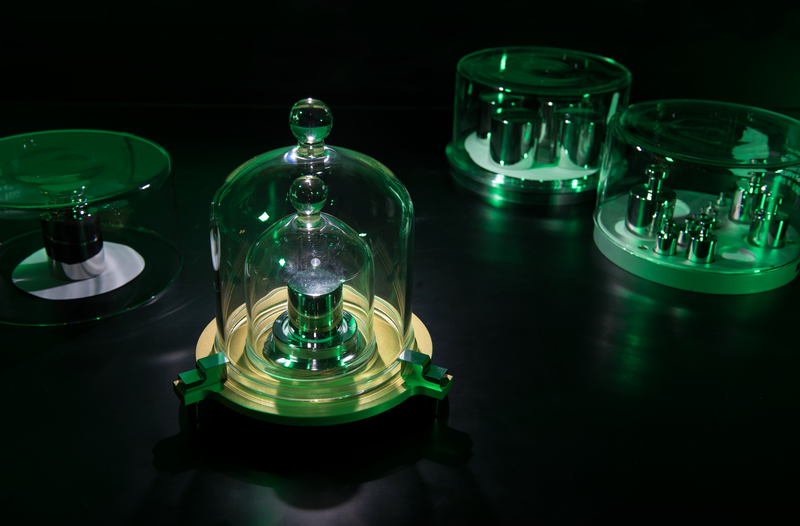 The new definition of the kilogram will allow much better measurements of these milligram and microgram masses. The revised SI is set to be implemented on May 20, 2019. If implemented as expected, all measures of mass — whether an eyelash or an airplane — could, if measured with the same technology, be equally accurate and precise. What new discoveries will the revised SI enable? Can adding a few additional decimal points to the end of measurements that are already exceedingly precise make a difference? The answers? It’s difficult to know but it’s a safe bet. Every time humanity has increased the accuracy and precision of measurements, better technologies have resulted. If history is any indication of the future, the revised SI is likely to help solve a wide range of mysteries. We need only to make the change and watch while the innovation unfolds.